Flutter into spring for jackpot wins! High 5 Casino’s 249th game, To and Fro, is coming soon! As the morning dawns and the sunshine finds its way to illuminate the wild blossoms, the tiny spirit of spring in the air brings upon a colorful swarm of hummingbirds. So fairy-like and bright, they live among the flowers like a creature of winning delight! Just like a revolving wheel, the hummingbirds dart to and fro as they come and vanish upon the jackpot glow. Check out the YouTube video below and get ready to give High 5 Casino’s new game feature Reel-Go-Round a spin! 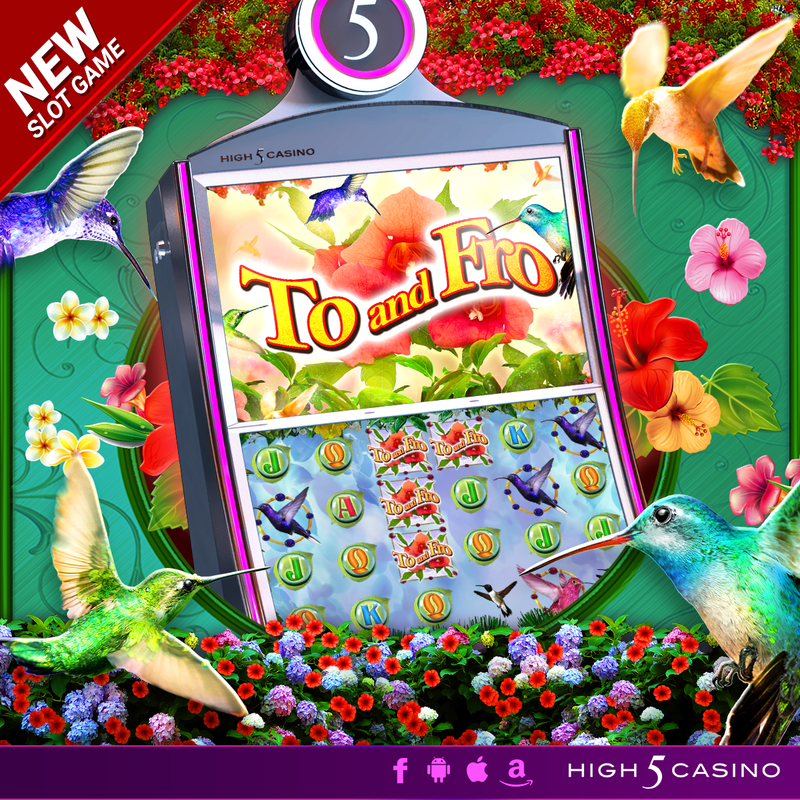 Are you ready to flutter into spring for a bouquet of wins in the new H5C game? Comment in the conversation bubble located on the top right corner of your screen and let us know what you think! This entry was posted in game preview, Game Release, High 5 Casino, High 5 Games, High 5 Moments, top games, Uncategorized and tagged Android, App Store, Apple, Facebook, Facebook Game, Facebook Game Room, Free Games, game preview, Game Spotlight, game vs. game breakdowns, Google Play Store, H5C, High 5 Casino, High 5 Casino Mobile, High 5 Casino Slots, High 5 Games, iOS, iPad, iPads, iPhone, iPhones, Slot game, slots by hoothigh5. Bookmark the permalink. I love high 5 casino games! !